Samsung Galaxy S7 and S7 Edge are still very fresh in the smartphone market at the moment following their February launch. However, it doesn’t mean Samsung has stopped there with this year’s releases. The South Korean tech giant is far from over as rumors of a Samsung Galaxy Note 6 are all over the internet. The phablet is expected to follow the release of the company’s flagship smartphones in the same way things have been happening with previous releases. 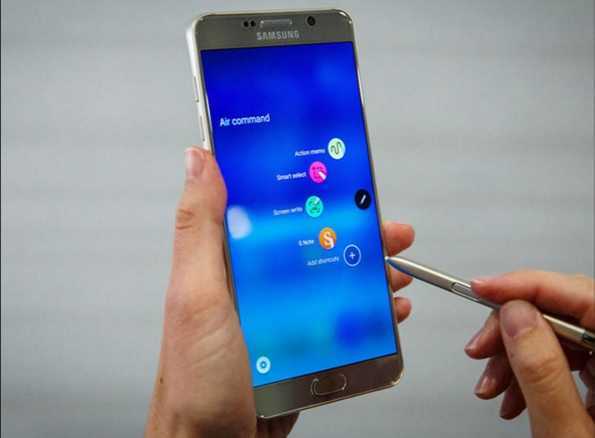 Last year, Samsung Galaxy Note 5 was released five months after the announcement of Samsung Galaxy S6. If the same is to be followed, we should see the Galaxy Note 6 in July or August. Before Samsung Galaxy S7 and S7 Edge came to being, rumors were rife that the phablet Samsung Galaxy Note 6 will pack more RAM than the two and maybe an even better camera. The two phones in the Galaxy S series came in with 4GB RAM, which means that more is expected for the Note 6. This seems to be the case following a new screenshot leak that has come from CPU-Z, only but confirming that the upcoming Samsung Galaxy Note 6 will pack 6GB of RAM. As mentioned earlier, this was expected right from the word go and with this leak, it only but confirms prior reports about the phone. In addition to giving out details about the Samsung Galaxy Note 6 RAM, the leaked screenshot also has more information about other possible specs of the phone. Both Samsung Galaxy S7 and S7 Edge come with two variants depending on the chipset on board. U.S. variants pack a Snapdragon 820 chipset while International variants pack a Samsung Exynos 8890 chipset. In the leaked screenshot, it shows that Samsung Galaxy Note 6 will pack an Exynos 8890 chipset. While a Snapdragon 820 version is expected, it has not been detailed out in the screenshot. In addition to the RAM and processor details, the leaked images also show that Samsung Galaxy Note 6 will indeed be larger than previous versions of the phablet, this time coming in with a screen size of 5.77 inches instead of the usual 5.7 inches. Rumors have been pointing towards a 5.8-inch screen, something that this screenshot could only be validating. Just like the Galaxy S7 and S7 Edge, expect to see Samsung Galaxy Note 6 coming in with a QHD AMOLED panel with a resolution of 1440 by 2560 pixels. In addition, Samsung will also provide the 32GB variant to the U.S. market and not the 64GB variant, just like the case of the flagships. The phone is also expected to come with room for expandable storage. The Galaxy Note 6, which will feature model number SM-N930F, will probably be powered by Android 6.0 Marshmallow and not Android N as some rumors claim, but this, just like the rumors, cannot be confirmed. Also not in the picture are the rumored IP68 certification and a battery unit of 3700 mAh. Previous Previous post: Huawei Honor 5X vs. OnePlus X: Which is the Best Phone for Under $250?